On Saturday, I had the pleasure to attend Rooting DC, sponsored by the DC Food to Fork network. One of the sessions I attended was “Puttin’ it up: Canning for Beginners”. There, I was able to shoot a video about making kimchee with Ibti Vincent, from the Arcadia Center for Sustainable Food and Agriculture. It’s very easy – greens, ginger, scallions, salt, and hot pepper get mashed until the liquid from the greens covers the mashed greens. If there isn’t enough liquid, it can be topped with water or the whey from yogurt. I can’t wait to try this! You can find additional videos from my day at Rooting DC at Grown in the City. 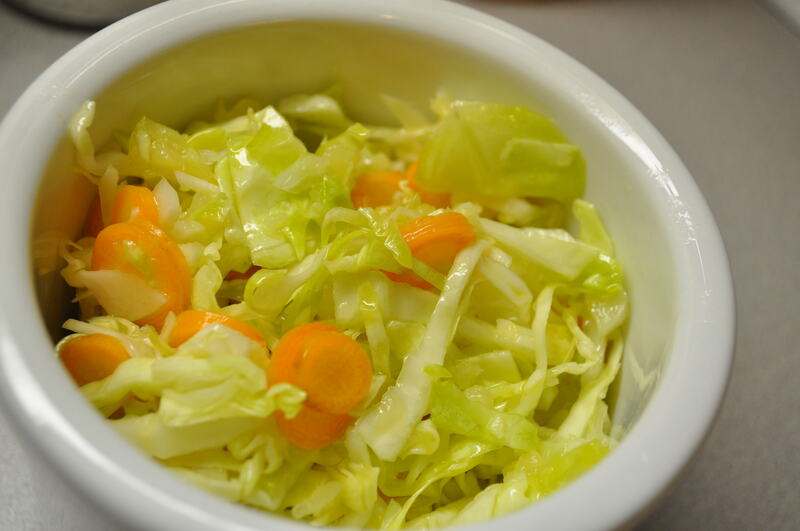 This is a really simple, yet delicious salad…and a great way to use up some of your CSA farm share cabbage. 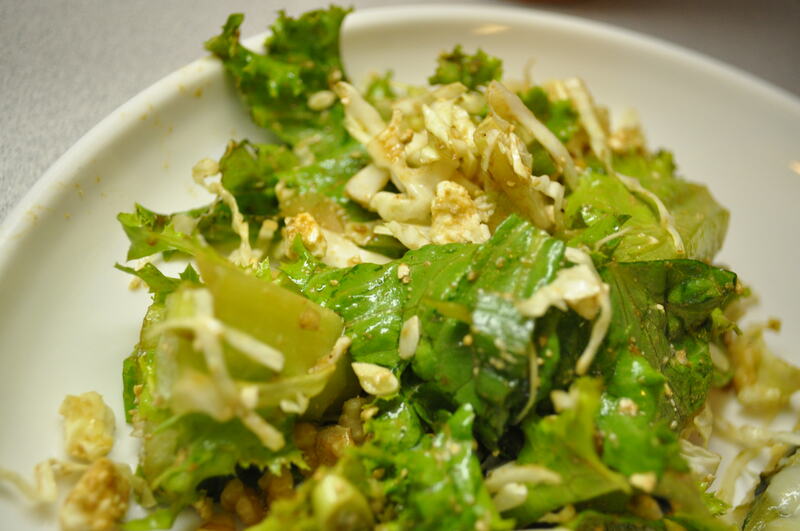 Combine lettuce through walnuts in a large bowl. Toss with lemon vinaigrette. Serve immediately and sprinkle with crumbled feta. In a large, cast-iron wok (or other large skillet), heat oil on medium-high heat. Saute onions and chickpeas for about 4 minutes. Add garlic and cook for another 2 minutes. Turn heat down to medium and add swiss chard and cabbage. 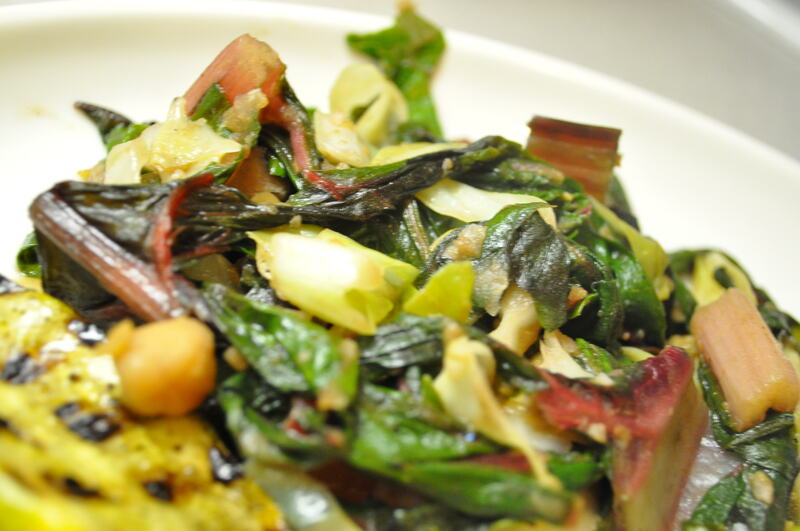 Saute for about 4-8 minutes or until cabbage and swiss chard are tender. (Add about 2 tbsp of water if the vegetables start to stick to the bottom of the pan.) Stir in salt, pepper, and balsamic creme vinegar. 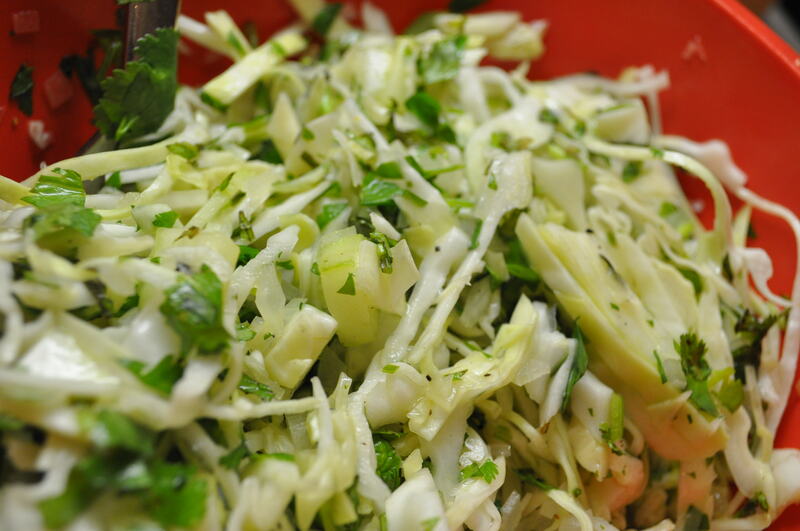 Combine cabbage through lettuce in a large bowl. 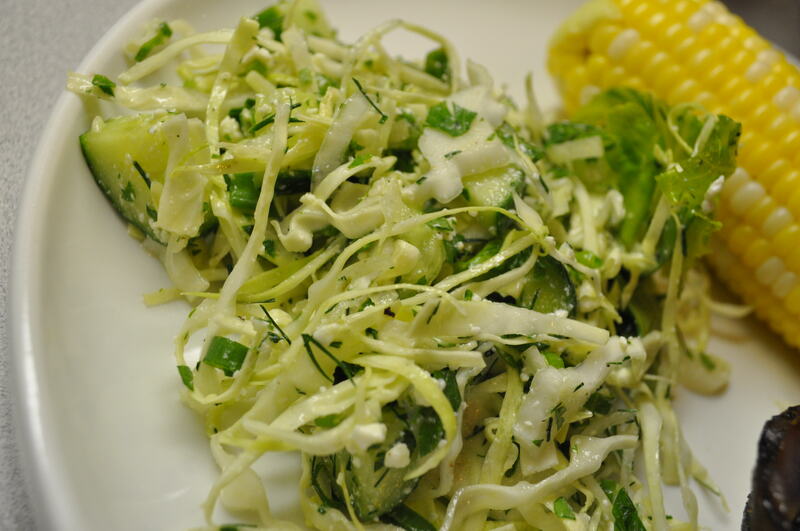 Toss with 1-2 tbsp lemon garlic vinaigrette. Adapted from Sundays at Moosewood Restaurant. In a large bowl, whisk together the lemon juice through oil. Add the cabbage, carrots and pineapple and toss. Kapusta is Polish style sauerkraut. As a kid, I absolutely hated sauerkraut. I remember every time my Polish mom would make it, I would immediately leave the kitchen and hold my nose. For some reason, I detested the smell, especially as it permeated the house. 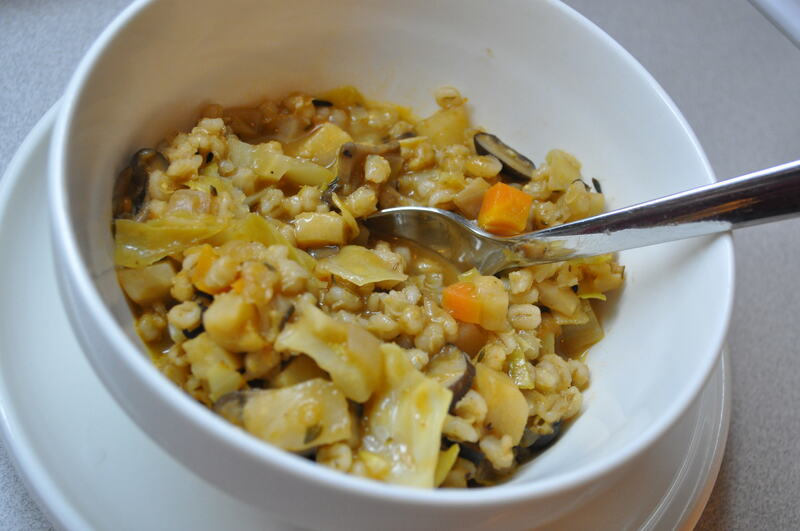 Well, perhaps my palate has changed, but I have come to like sauerkraut – my mom would be so proud! 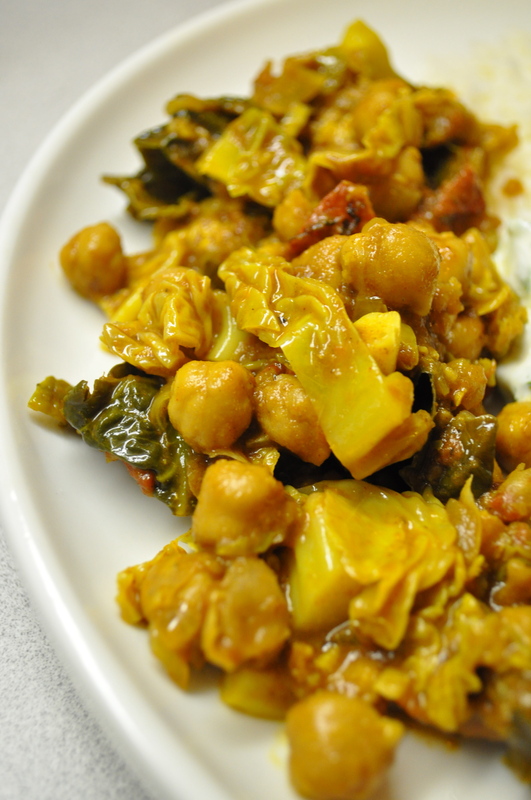 This recipe is an adaptation of my mom’s and Babcia’s (grandmother) recipe. My Babcia would pick her mushrooms and dry them herself. To soften the sometimes acidic, harsh flavor of sauerkraut, I’ve added fresh cabbage, additional dried mushrooms, vegetable broth, and some balsamic cream vinegar. Make this dish a few days ahead of time, because the flavors improve with each day. Put the sauerkraut in a colander and rinse well with cold water. Set aside. Add butter and olive oil to a large stock pot. Saute onion, carrots, leek and caraway seed until onions are translucent (about 8-10 minutes). 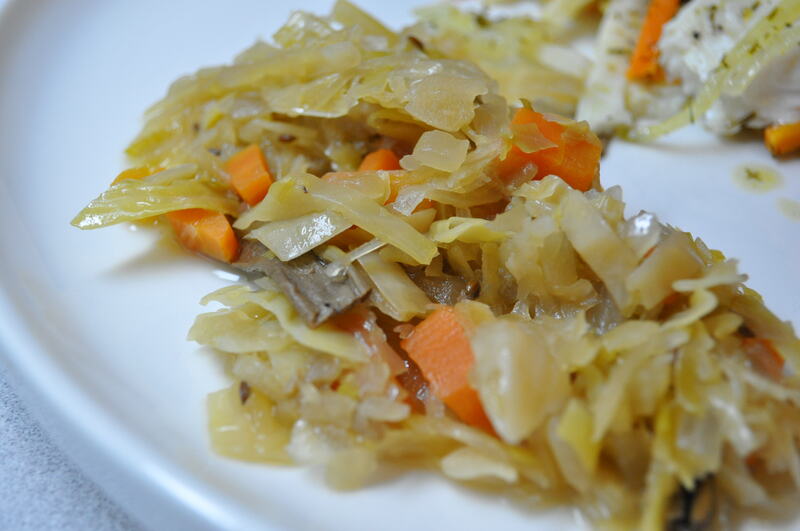 Add fresh cabbage then sauerkraut, dried mushrooms, bay leaf, vegetable broth and water. 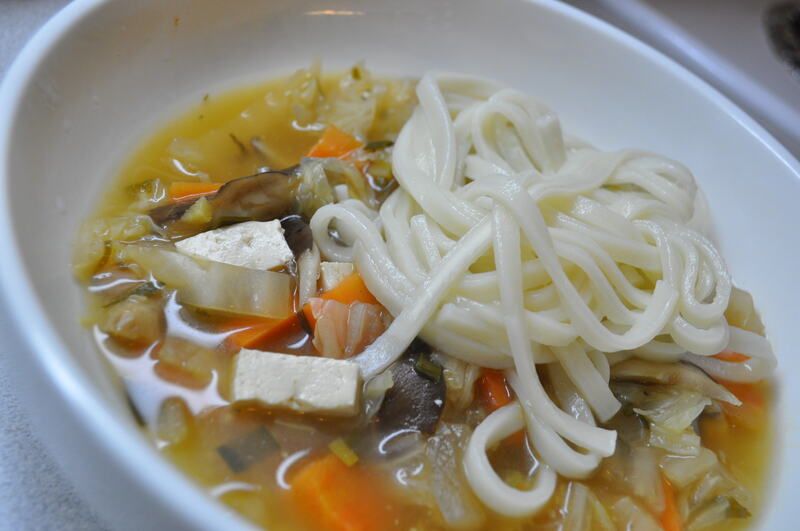 Bring to a boil, reduce to simmer, and cook for one hour. Add the remaining ingredients. And cook for an additional 30 minutes to an hour.